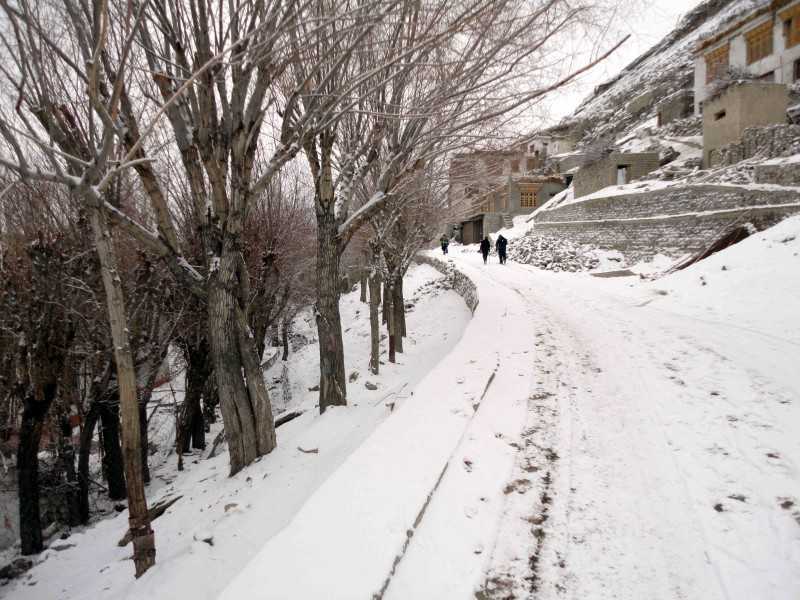 The true meaning of Marcel’s words were understood when I saw Ladakh in winter in a completely new light. In it’sharshest but truest form. When the roof of the world was cut off from the rest of the world and was wrapped in a white blanket of snow and ice. Ladakh in winter is a digital detoxification trip where time and space bear no relevance. A million emotions erupted as I stood admiring the Frozen Ladakh’s incredible beauty. Like hundreds, my initial plan was to do the glamorous Chadar Trek. However, the creator had a better plan in store for me. 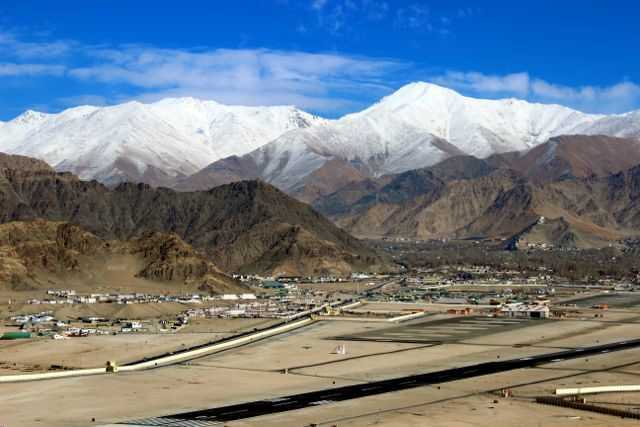 So as I alighted at the Leh Airport, got news that due to a landslide Chadar Trek has been called off. I was heartbroken but instead of whining about it, decided to do an alternate trek, Sham Valley. Though the trek was fairly easy and not as half renowned as Chadar Trek is but it brought me face to face with the real beauty of the land, which is hardly known or explored. Ladakh in winter is an intimidating yet overwhelming experience. Temperature in Ladakh in winter drop up to -30 degree Celsius and the definition of basic amenities gets redefined here. Why did I plan my Leh Ladakh trip in winter? Well I take pride in calling myself as a TRAVELLER over a TOURIST. I chose to explore Ladakh in it’s harshest times because I wanted to connect with the soul of the place and wanted to explore what is usually not seen. And I must say the reward was stupendous. 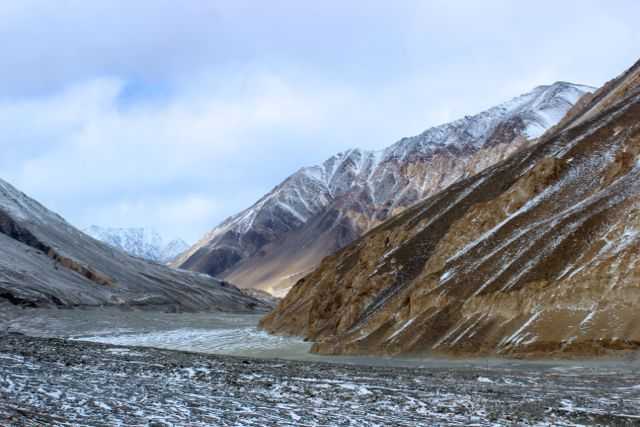 Unlike west, Ladakh is not geared up with amenities to have comfortable winters. 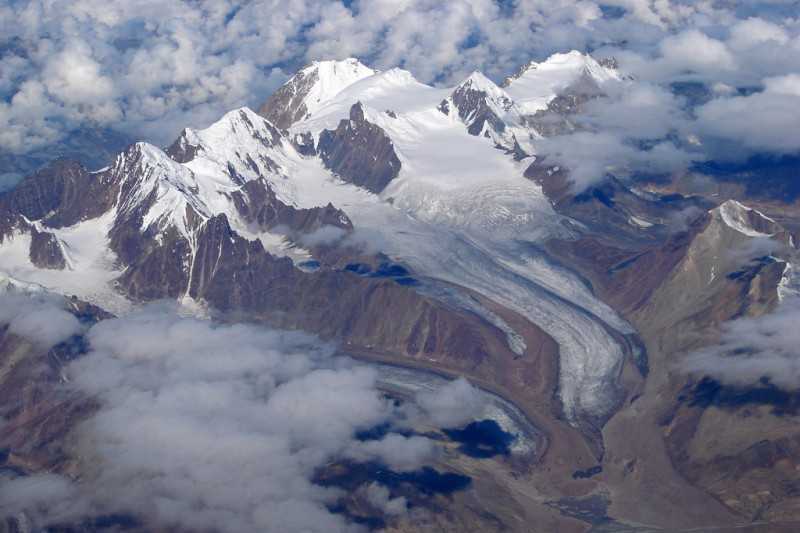 But it is the time when you get to see the genuine beauty of the roof of the world. The only way to enjoy this beauty is to acclimatize to the local culture and habits as fast as you can. Most of the hotels in Leh are closed during winters therefore you have to stay frugally in modest Home stays – traditional Ladakhi houses. The Home Stays are basic and you’ll be sleeping in a sleeping bag on a mattress on the floor. The water pipes freeze and water (hot and cold) is provided by bucket. Bathing is a luxury, which no one dares to dream. No flush toilets. Only ‘compost toilets’— usually a hole in the floor on one level, where ‘excreta’ drop to ground level below, after which a liberal sprinkling of soil is deposited on top of the growing pile. Food is cooked by the local family and is mostly traditional Ladakhi meal – butter tea, kahwa, thukpa, noodles and soup served in common dining room with bukhari. Travel tip: Stay in a kitchen instead of a room for a warm cosy night. Also, if you crave for Cholle Bhature then Neha snacks in Leh is your address. Walking in the BongBong La Snow Valley was a setting straight out of ice age. Everything was frozen – mountains, valleys, waterfalls, river shores, and vegetation. With temperature plummeting to less than -35 degree and wind chill adding another -10 degree Celsius, it was nothing less than a dream. 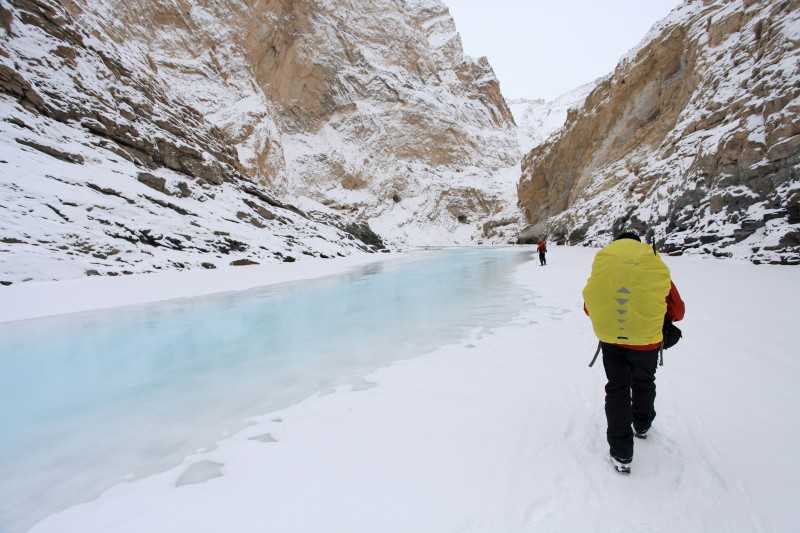 If you are suitably covered with at least four layers of warm clothing then there is no better sight than being in Frozen Ladakh.The Khaltse to Lamayru way is incredulously beautiful where you’ll come across moon land, frozen waterfalls and frozen Indus Shores. Travel tip: Explore this area in a small group with a good local guide. Don’t forget to capture the top view of Lamayaru town from the Lamayaru Gompa. 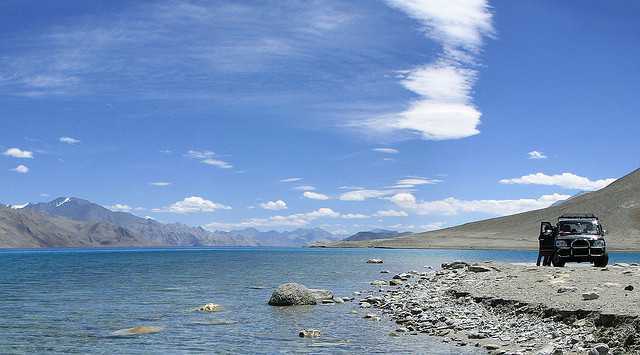 In summers, Pangong Lake acts as a teaser of nature’s craftsmanship. The brackish water plays with sunlight to produce different shades of blue. Ladakh in winter, almost all the water bodies freeze, yet the effect that Pangong Tso creates is unrivaled. The tranquil, azure blue waters of lake become a thick layer of ice sheet on which you can play cricket, drive your car or even do a somersault. The temperature is around -30 degrees Celsius even during the day therefore nobody spends more than half an hour there. Ladakh tests your mental and physical toughness in winters. 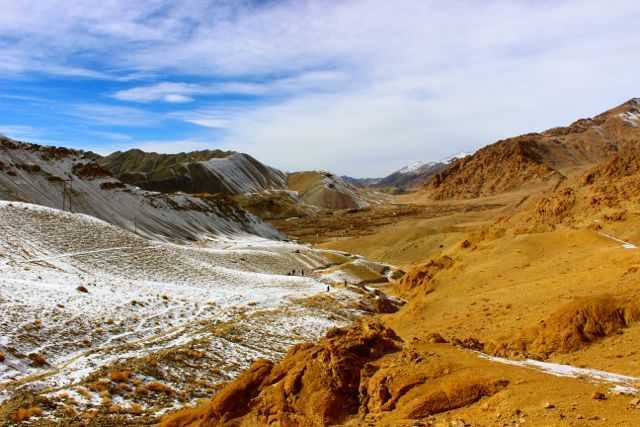 Besides doing the world famous Chadar Trek, one can also do other fairly lesser known but more challenging treks like Stok base camp trek, Markha Valley Trek, Sham valley trek at a very cheap price like 10K. They are not at all monotonous and everyday presents a different kind of an experience. When in Leh, don’t forget to watch the Leh Ice Skating rink. From December until March, Ladakhlives and breathes ice hockey. Travel tip: Don’t take trekking in Ladakh in winter casually, train hard, acclimatize well and stay away from heated rooms. Forclaz 500 is a good trekking shoe. Ladakh has very short but busy summers when most locals earn their yearly living from tourism. During summers, they are extremely busy making money out of tourism. Nobody has the time to have laid back conversations. Winter is a time when they are looking for company to talk. 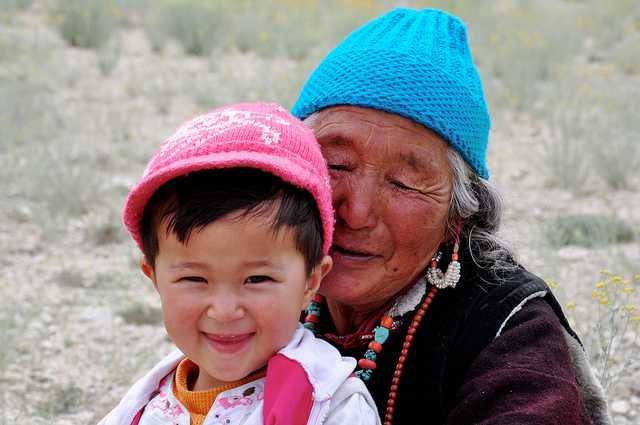 Soft spoken and polite, a smile is there to greet you no matter which part of Ladakh you travel. Kids have school holidays therefore are always on the lookout of playmates. Also, you get to meet very interesting and diverse variety of like-minded fellow travellers (not tourists) from across the world that inspire you in more ways than you can ever imagine. Winter in Ladakh is a celebration time. Locals have very little to do during winter months, so free time is turned into celebration time. Tourists and wannabe photographers usually dominate summer festivals. Winter festivals are of different league. 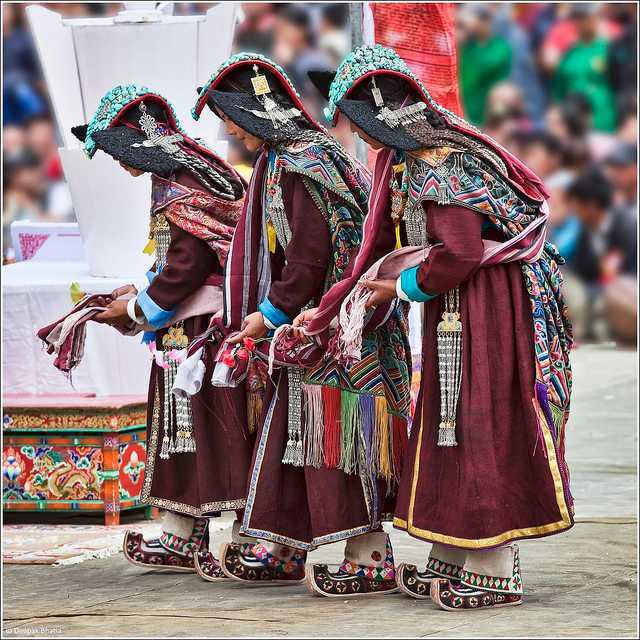 Ladakhi Losar, Spituk Gustor, Thiksay Gustor, Stok Monastery Festival, Matho Monastery festival, Dosmoche all fall in Ladakh in winters. Many senior lamas visit key monasteries during winters. Locals come from far away lands to have heart-to-heart conversations with their spiritual gurus. Travel tip: Have a meal with the lamas in a monastery. You’ll be blown away not just by the simplicity of the tasty food but also how tech savvy and well aware those monks are. Winter is a great time for photography in Ladakh. With barren land completely covered with white sheet, frozen rivers, frozen waterfalls, frozen shores, wilted tress, blue skies, no tourists interfering in pictures, lots of local festivals, Ladakh in winter is a heaven for photographers. If you can brave cold at night then you can have star trail time-lapse videos that will make your peers go gaga over your photography skills. 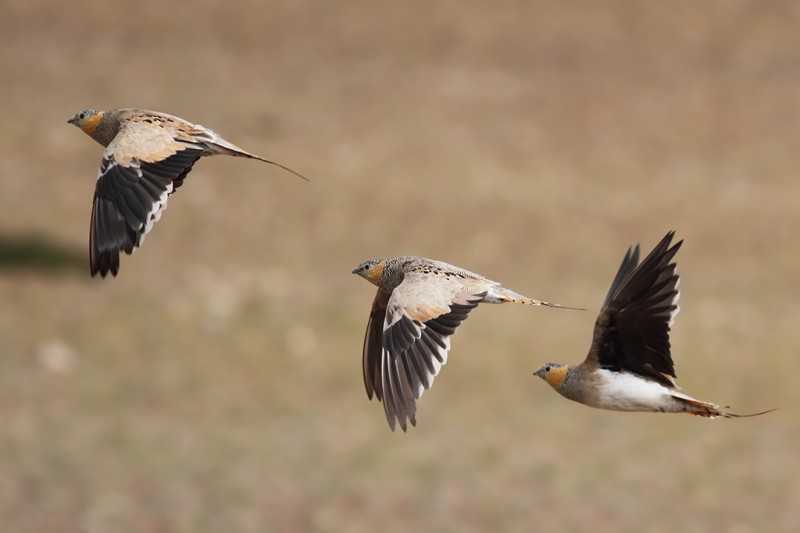 As the harsh winters set in, most Himalayan animals tend to come down to lower altitudes, making it easier to spot them. Winters is the best time to spot the elusive “Ghost of the Mountains”, the Snow Leopard. While spotting a snow leopard is not easy, you will definitely spot lot of mountain fauna like Blue sheep, mountain wolf, wild hares, magpies etc. Ladakh in winter is fairly cheap as compared to touristy summer season. Flight rates are at rock bottom – you can get a Delhi-Leh return flight for as little as INR 3000 if you book well in advance. Same flight costs as high as INR 35,000 in summers. You can get a heated home stay for Rupees 500 per bed per night. Shopping is cheap. Fake brands that you get in new market, moti market are as good as real brands. 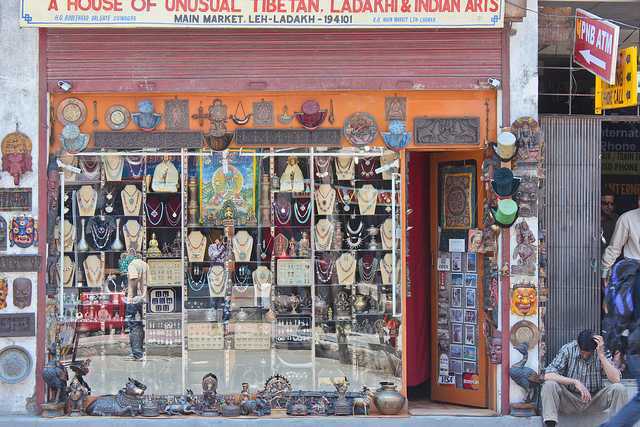 Travel tip: Plan well in advance and do your winter shopping in Leh local market. Though it was my bad that because a natural calamity, Chadar Trek was called off but it is a great experience that one should have before it becomes a distant memory. Once the road from chilling to Padum will be constructed, there are chances that Chadar might not form and hence Chadar Trek won’t happen. Hence, do it before it’s too late. I am going to attempt it next year again. Will you? Travel tip: Go via a local trek agent.Savvy marketers from plains having their operations in Ladakh are good for nothing. There is nothing like romancing in the coldest region of India. A kiss under a sky full of billion stars or a hug at 18,000 ft above sea level or making love in bone-chilling cold is something that you will not forget till the last breath of your life. You won’t need a chapstick or multiple layers of clothes when you’ll have your loved one around. So make the most of it. Go ahead and rekindle your romance. Travel tip: Before expressing your love, make sure you are wrapped up in multiple layers otherwiss be prepared to get a severe cold and cough. Visiting Ladakhn in winter is like freezing time or existence itself. I discovered the undying spirit of Ladakh. I had relished every bit of the indescribable beauty of the coldest desert. No words or pictures can do justice to what I saw and experienced. 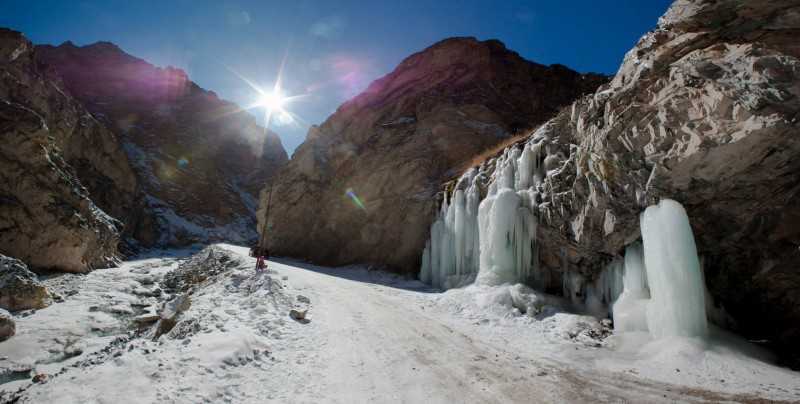 Still thinking to visit Ladakh in winter or sticking to a comfortable summer trip? All I can say is – let go of the fear of cold and immerse yourself in the insurmountable beauty of God’s favourite masterpiece.